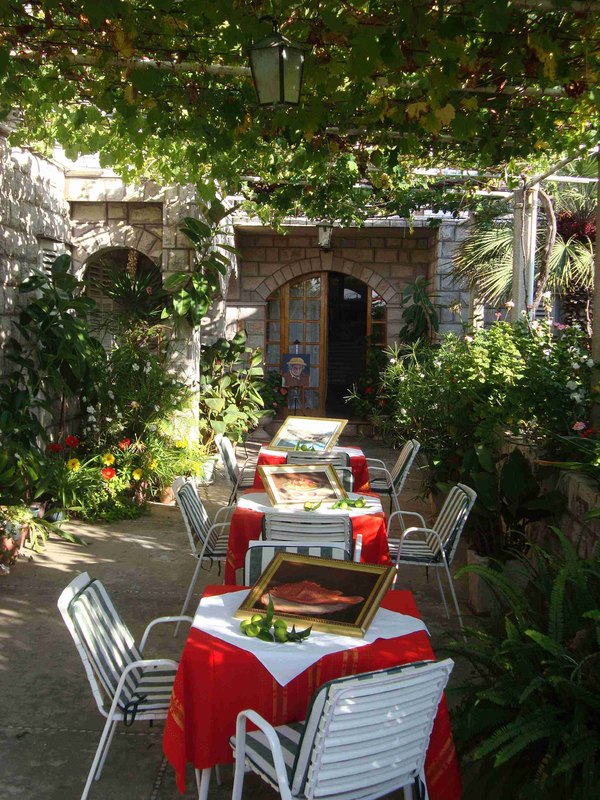 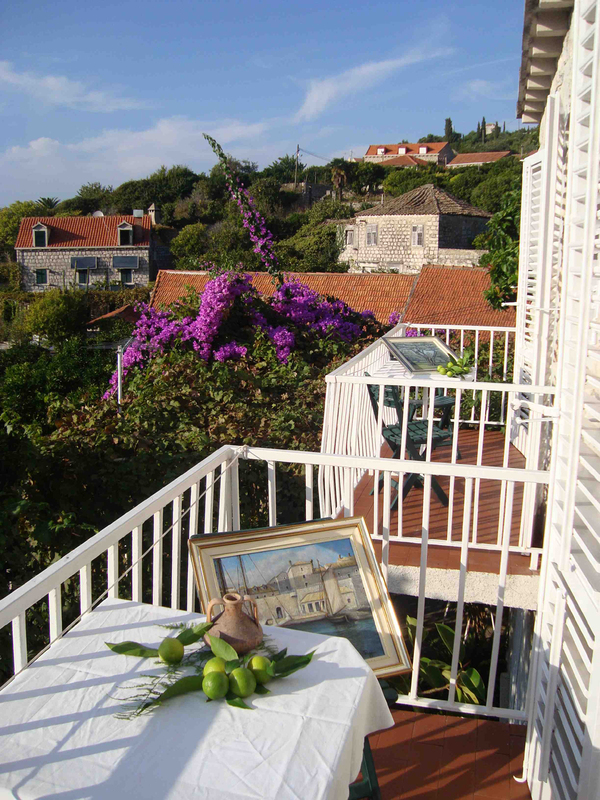 The house Antun Radić, a painter and artist, is situated central in the village, about 100 meters distance from the sea, between two allies leading both towards the boulevard. Around the house is a garden and a terrace all in plants and flowers. 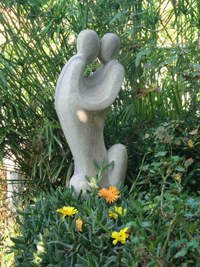 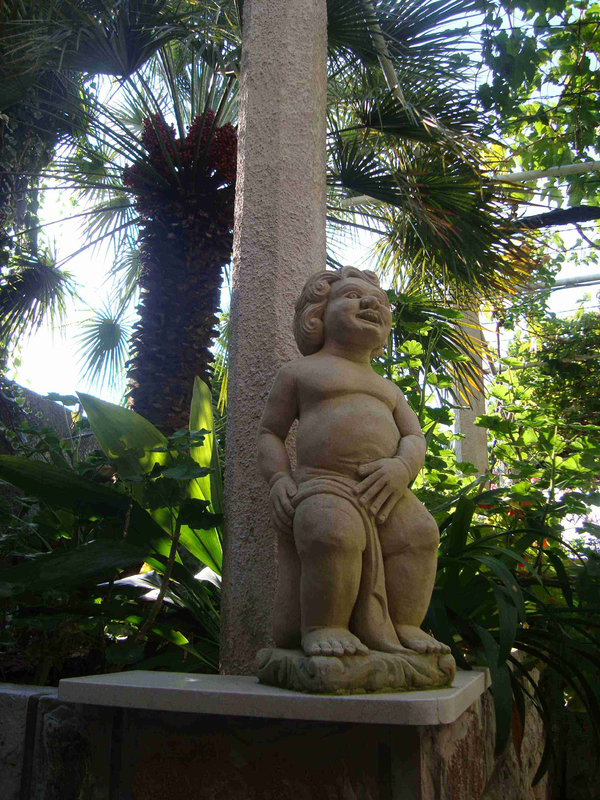 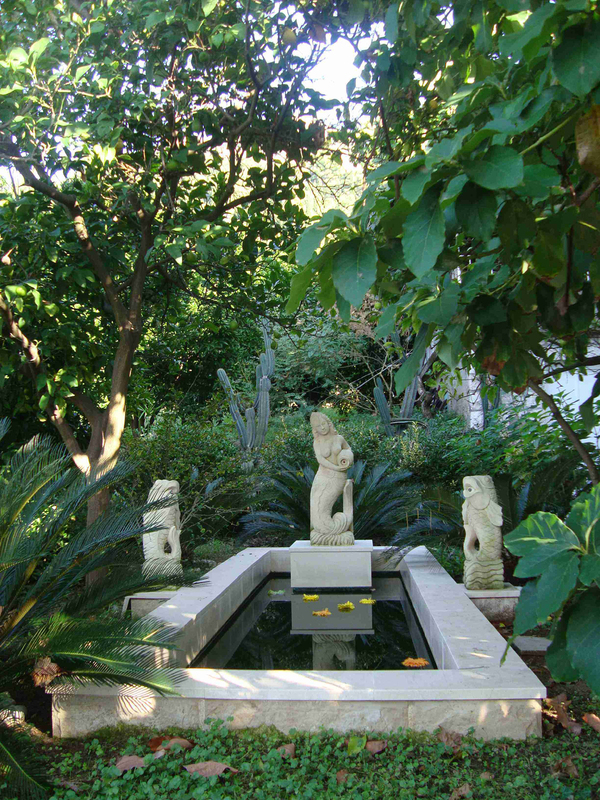 The garden has some statues and a pond with a fountain. 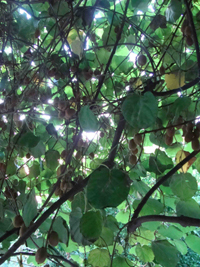 There is also an orchard with lemon trees and kiwi plants. 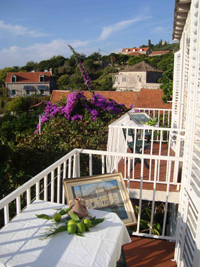 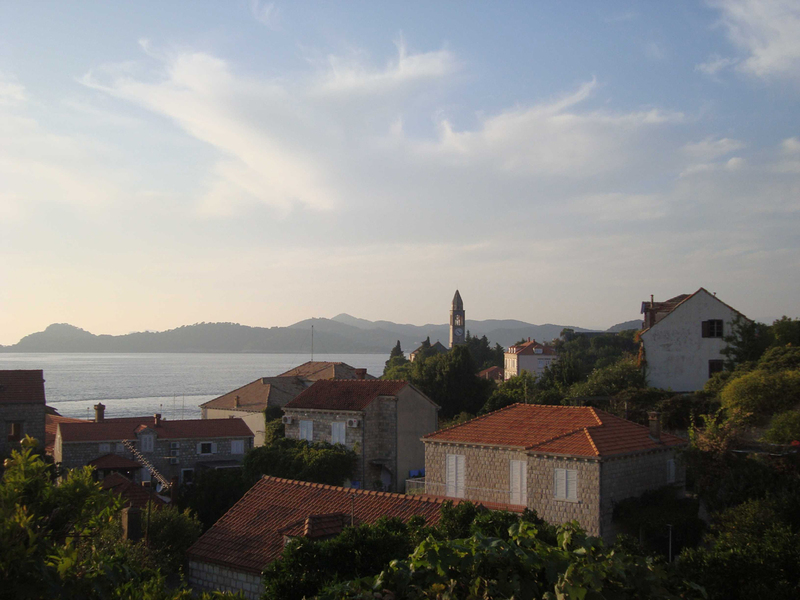 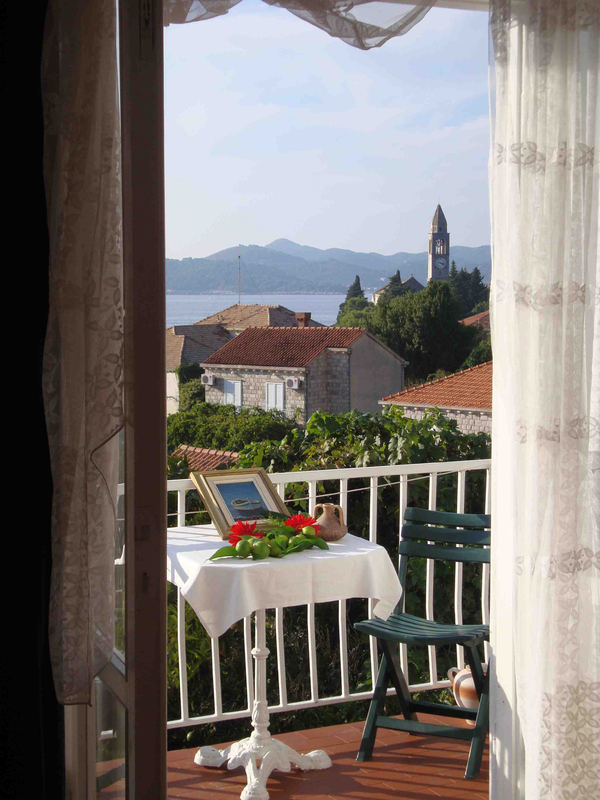 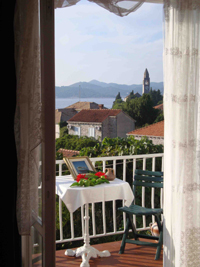 The rooms and studios, all situated on the first floor, have balconies with view over the village to the sea. 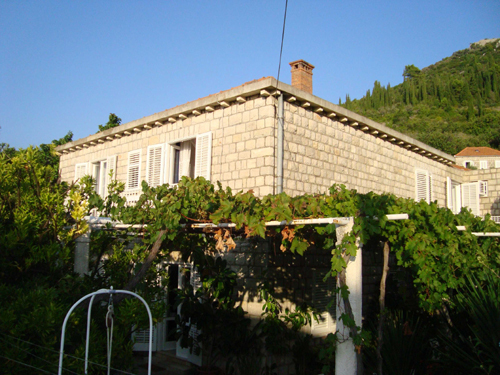 All have television, refrigerator and air conditioning. 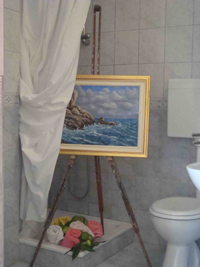 The 3 star rooms have a bathroom with shower and toilet "en suite". 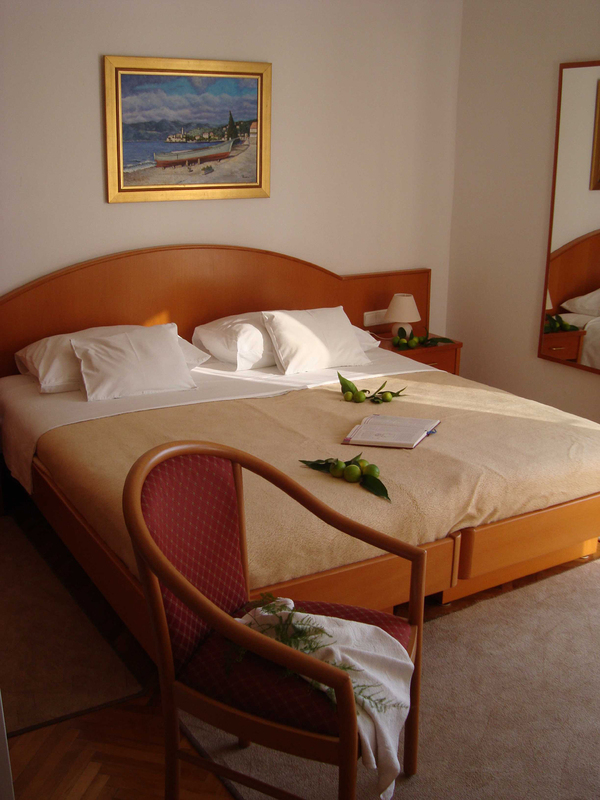 The 2 star room and the single room have to share a bathroom situated in the corridor. 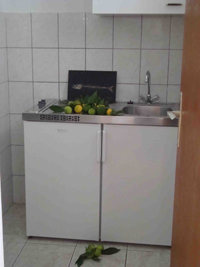 Double room with bathroom (shower and toilet), refrigerator, satellite television and air-conditioning. Largest double room with refrigerator, satellite television and air-conditioning. 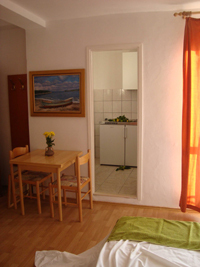 Bathroom at the corridor and has to be shared with the single room. 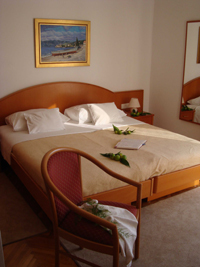 Double room with bathroom (shower and toilet), kitchenette, satellite television and air conditioning. Room with refrigerator, television and air conditioning. the kiwi's . statue "good spirit"